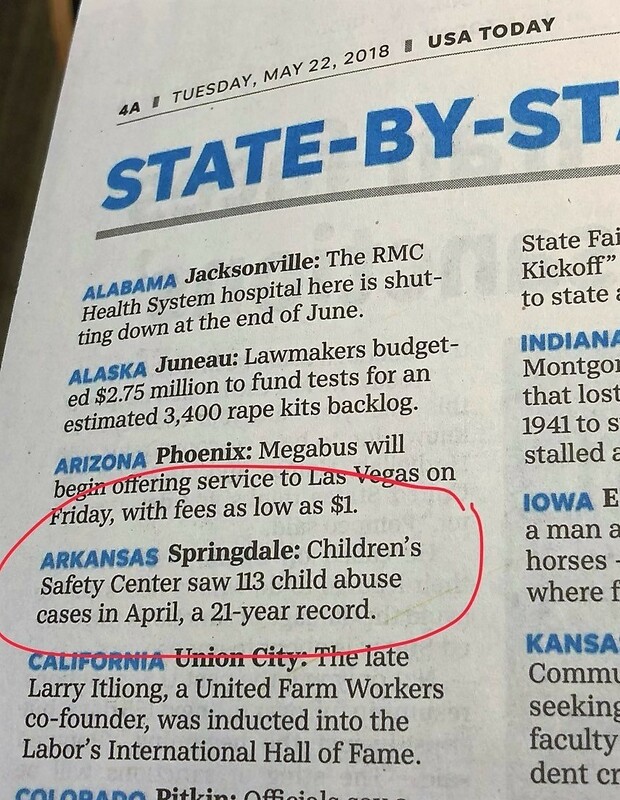 Children's Safety Center during the month of April alone. The most children seen in 1 month in 21 years. The CSC averaged 54 children a month in 2017. USA Today featured the CSC in their State-by-State section. We greatly appreciate ALL the individuals, families, local businesses, organizations, church groups and volunteers that raised awareness and funds for the CSC during the month of April. Because of your support, we are able to continue providing critical services to local child abuse victims! This is 10 year old Amjad. 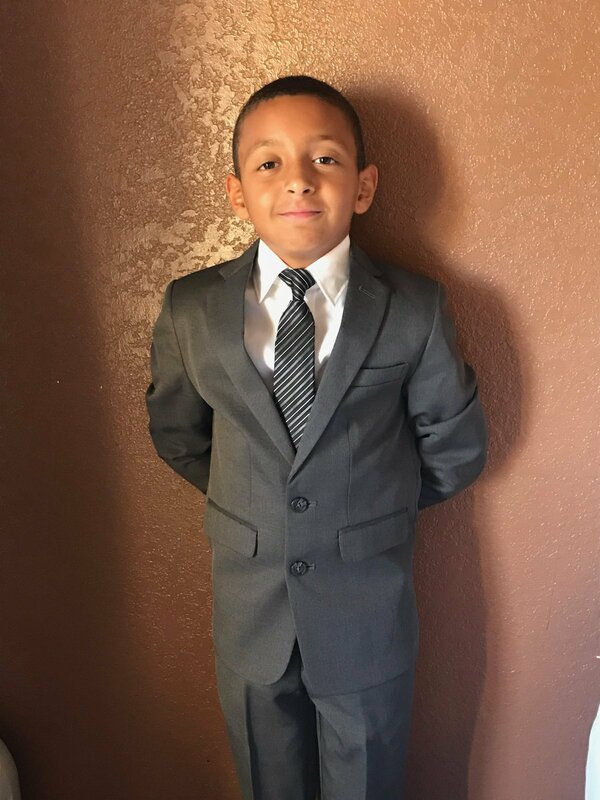 Each year he throws his Birthday party and chooses an organization to give back to. In the past he's given back to the Ronald McDonald House, Wounded Warrior Program, and animal shelters. 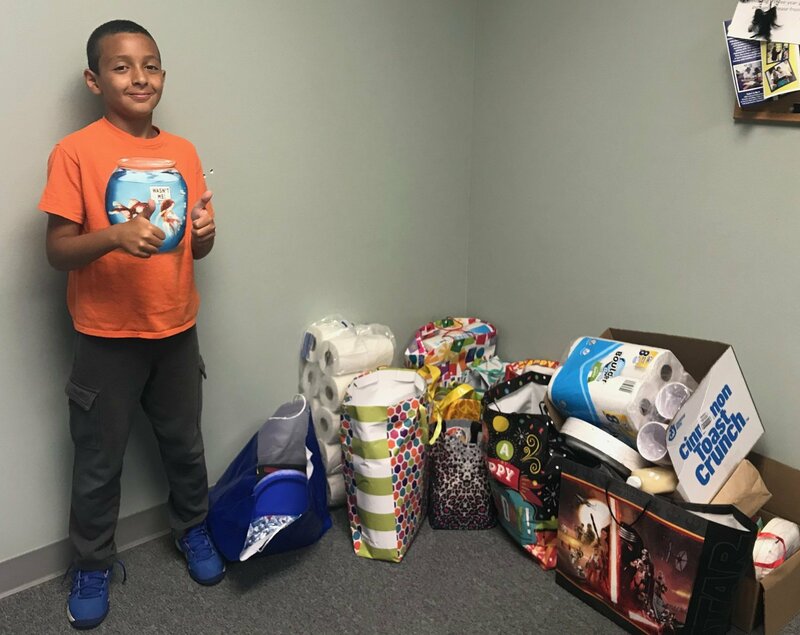 This year however, he wanted to bring some joy to local kids that have been hurt, so Amjad chose the Children's Safety Center. With the help of his friends and parents coworkers, Amjad reached his goal. Thank you Amjad for putting many smiles on many faces! if you choose to eat. Amazon has a variety of creative and unique Father's Day gifts for everyone on your list. 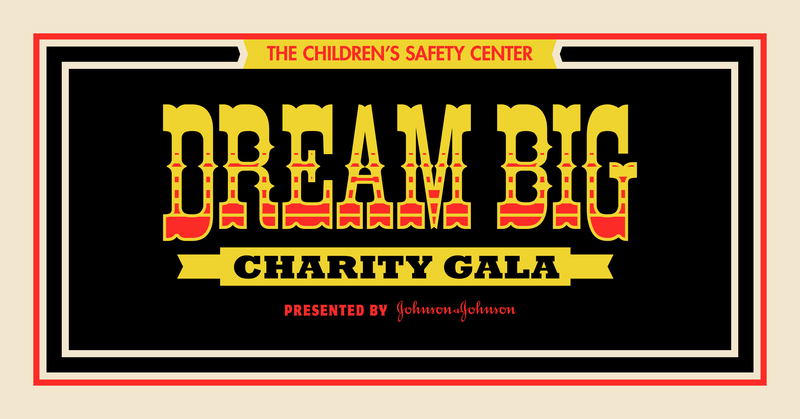 So shop till you drop and spread the love while giving back to the Children's Safety Center! Presented by Johnson & Johnson. This year's carnival theme is sure to impress and kicks off promptly at 7:00pm! Guests will enjoy live music provided by NWA's own Boom Kinetic and various circus acts both presented by Lifeworks Technology Group, hors d'oeuvres from area restaurants, adult beverages featuring signature cocktails from Koon's Saloon and Heaven Hill Spirits, summer beer selection from MillerCoors and wine selection from Sassafras Springs Vineyard, carnival games featuring a cigar dart throw by One Eyed Jacks Fine Cigar Lounge and wine ring toss by Sassafras Springs Vineyard, robust silent and live auction, and an informative program about the Children's Safety Center. We are hiring a Child Advocate, to join our dynamic team. The candidate must be passionate about the mission of our agency and working with alleged child abuse victims and their families. Minimum Bachelor's Degree required; preferably in social work. Experience working with child victims of abuse, a plus. Bi-lingual preferred. Position requires attending Forensic Interview training and conducting forensic interviews with alleged victims. This is a full time position. Advocate must be very flexible with schedule, including on-call responsibilities as assigned.